On January 16, 2019, the Christian persecution organization, Open Doors, published its annual report “World Watch List 2019,” and named 50 countries that are on the Christian persecution blacklist. China was on it – Open Doors estimated that over 20 million Christians in China were victims of persecution last year, more than any other year in over a decade. 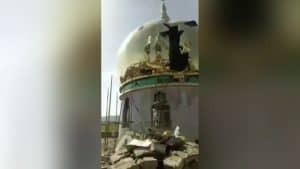 And as David Curry, the organization’s CEO in North America, said, freedom of religion in China is rapidly deteriorating under the current administration of Xi Jinping. 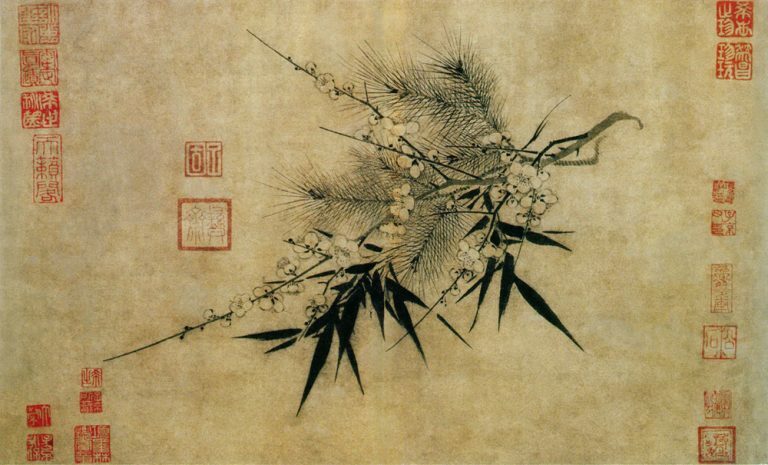 Bitter Winter has extensively reported on the persecution of Protestant house churches: from the well-known, such as the Early Rain Covenant Church in Chengdu, the capital of southwestern China’s Sichuan Province; the Zion Church in Beijing; the Ronggui Lane Church in Guangzhou, the southeastern capital of Guangdong Province, to lesser-known, but equally harshly persecuted ones. 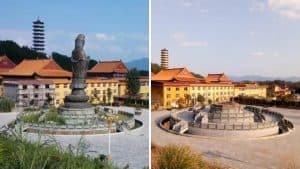 Recently, Bitter Winter received news that the Chinese Communist Party (CCP) authorities have cracked down on multiple house church congregation sites in Xiamen, in southeastern Fujian Province, and Nanchang, in southeast Jiangxi Province. 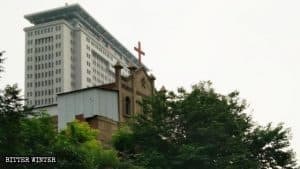 In the Jimei district of Xiamen city, which faces Taiwan from across the ocean, the Charismatic Movement Chengguang Church used to rent a 500-square-meter building as a congregation site. Since May of last year, authorities have begun to repeatedly pressure the landlord of the site to terminate the church rental agreement. Congregation site of Chengguang Church in Jimei district of Xiamen. Authorities claimed the church was illegal because the pastor didn’t have a government-issued clergy certification or preaching certification and that the congregation site wasn’t registered for approval. Believing, rightly, that there was no evidence the church had done anything illegal, the landlord refused to terminate their lease. But not long after, authorities increased their offensive and, last September, the local Public Security Bureau, the prosecutor’s office, courthouse and the United Front Work Department (UFWD), all went to the landlord and forced him to repossess the building and make the Christians leave. Then the government had high-definition surveillance cameras installed outside the church’s entrance to monitor the Christians. Pressured by a bevy of government agencies, the Chengguang Church had no choice but to move out at the end of December. 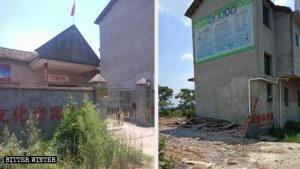 Around the same time, another one of the church’s rented congregation sites, located in the Xiang’an district, met the same fate. Congregation site of Chengguang Church in Xiamen’s Xiang’an district. According to an inside source, authorities threatened to fire the landlord’s son from his position in public office. Intimidated by the might of the government, the landlord repossessed the building. The congregation site was 300 square meters in size, and the church had signed a five-year rental agreement. 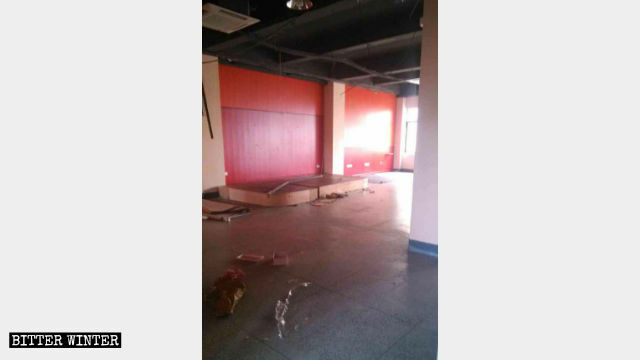 The church also spent approximately 200,000 RMB (approximately $29,635) renovating the space before the CCP shut them down less than two years later, leaving them with massive losses. According to Article 71 of the new Regulations on Religious Affairs, authorities can charge anyone who rents out spaces for religious activities to unofficial religious groups with breaking the law and fine them 20,000 to 200,000 RMB (approximately $2,963 to 29,635). Under the regulations, churches that are not approved by the state are facing the risk of complete shutdowns. 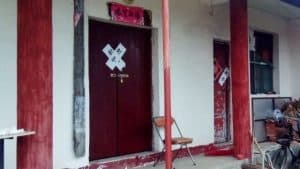 In Jiangxi Province’s Nanchang city, multiple churches have been cracked down for not being registered to join the state-sanctioned Three-Self Church. 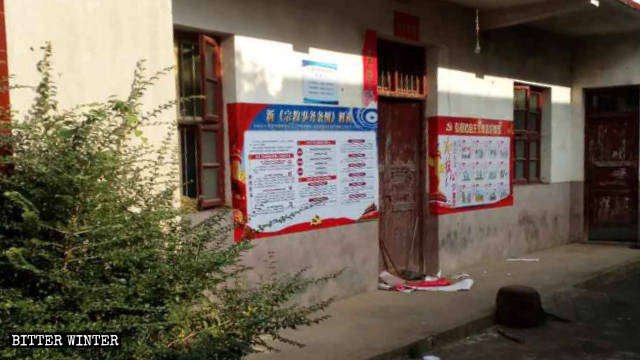 According to an inside source, in late November of last year, a house church in Jinxian county under the jurisdiction of Nanchang city was attacked multiple times. Local government officials barged into the church, ordered the church leader to join the Three-Self Church, shredded the couplet banners and scripture extracts displayed in their congregation site, then confiscated their Bibles and books of hymns, hung up propaganda posters with the content of new Regulations on Religious Affairs and “socialist core values” on them and forcibly locked up the entrance to the congregation site. Propaganda posters with new Regulations on Religious Affairs and socialist core values were displayed in the congregation site. This forced members to attend another congregation site, only to have the authorities follow them there and continue the harassment. This caused a chain reaction: Everywhere the congregation moved, the authorities were sure to follow. Finally, the Christians just started holding their worship services in secret. 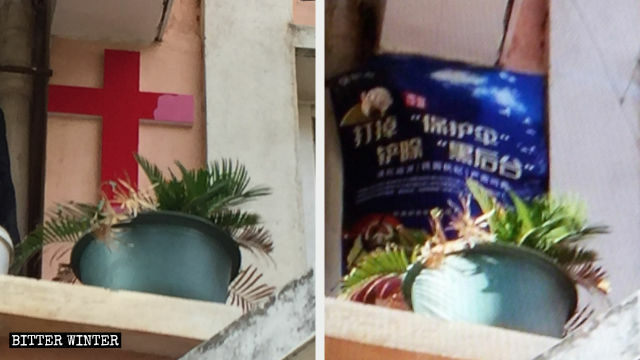 Another house church in the city was not only forced to register for official permits: At the end of November, officials hung up a propaganda poster with the words “dismantle the protective umbrella and eradicate behind-the-scenes manipulators” over the cross on the congregation site’s balcony. 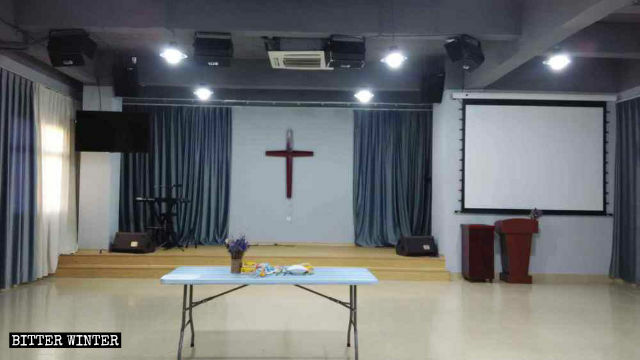 According to sources, from October to November of last year, authorities cracked down on at least 22 house churches in Guixi city and Yingtan city of Jiangxi Province. Good swathes of the churches were forced to disperse into smaller congregations in secret. The move has been seen before, says Nina Shea, director of the Center for Religious Freedom at the Hudson Institute think tank in Washington, DC. “This is forcing the majority of the underground churches that Christians attend to become much smaller and more hidden, so that they see no daylight and are always in hiding – trending toward the ‘North Korean’ way,” she said in an interview with Voice of America. And that way is more than disconcerting.